Why did you volunteer to mentor for the ANCDS Student Fellow Program? One of my favorite parts about my job is getting the opportunity to work one-on-one with students in my research lab and a big part of that process is providing academic and career mentoring. I have participated in other mentoring programs (both as a mentee and a mentor) and have always had wonderful experiences. When I heard about the opportunity to become a mentor with ANCDS, I was excited to be able to have a similar experience with a student from outside my university. What do you feel are the benefits of the ANCDS fellow program for the mentors and mentees? Mentoring programs provide excellent benefits for both the mentee and the mentor. For the mentee, this program provides an opportunity to meet and have in-depth discussions with someone who can provide a bit of insight into the road ahead. As a mentor, I have the opportunity to reflect on my own experiences, which can be a helpful exercise at any career stage. 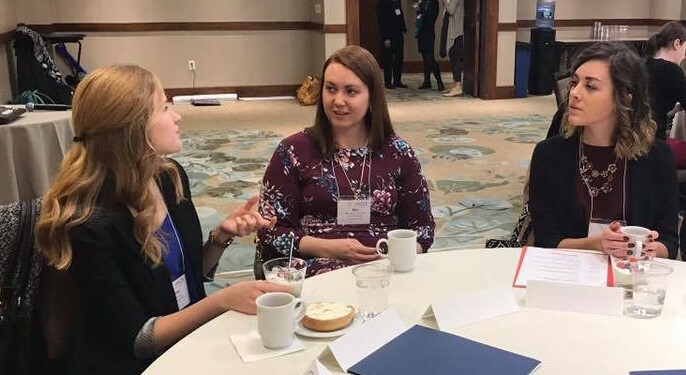 How did being an ANCDS fellow mentor change your Annual Meeting experience? I very much enjoyed having Haley to talk with throughout the meeting. She asked great questions and having her there encouraged me to discuss the meeting content in more depth than I typically have in past meetings.